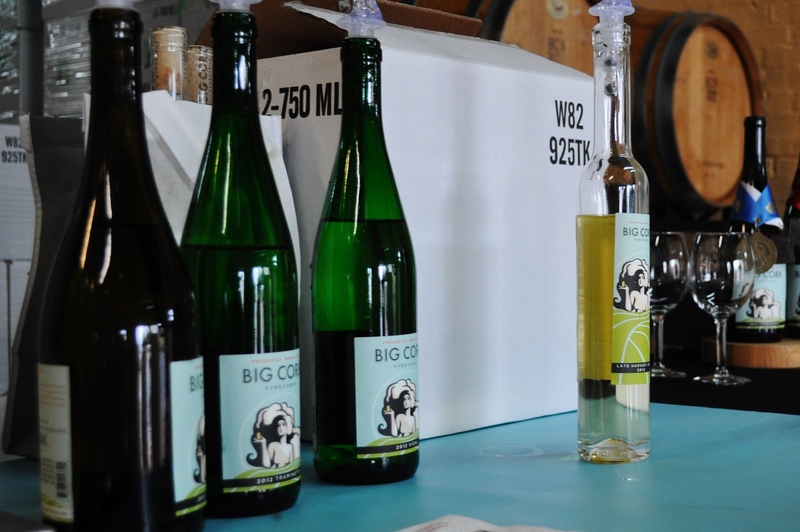 Centered around the opening of the tasting room at Big Cork Winery, at its production facility in Frederick. We first found their wines at the liquor store across from the Frederick Wegmans. Have been serving them at many dinners, and took some to the family reunion. We will probably take the Traminette for Thanksgiving this year. Tasting is $5. You get to taste all four whites, the current releases. Reds aren’t ready yet. They need a bit more time to develop. As for the whites, the Chardonnay is very well balanced, and not one of those heavy huge overly oaked specimens found often from CA or South America. The Traminette is related to Gewürztraminer. Spicy undertones, and the perfect turkey wine. The Vidal Blanc is one of those go-to slightly sweet yet still acidic wines that pair well with spicy foods, like Thai. The Late Harvest Vidal is dessert in a glass. Try it with salted caramels, or with a drier, nutty cheese. We had some time to talk to Dave Collins, the winemaker. 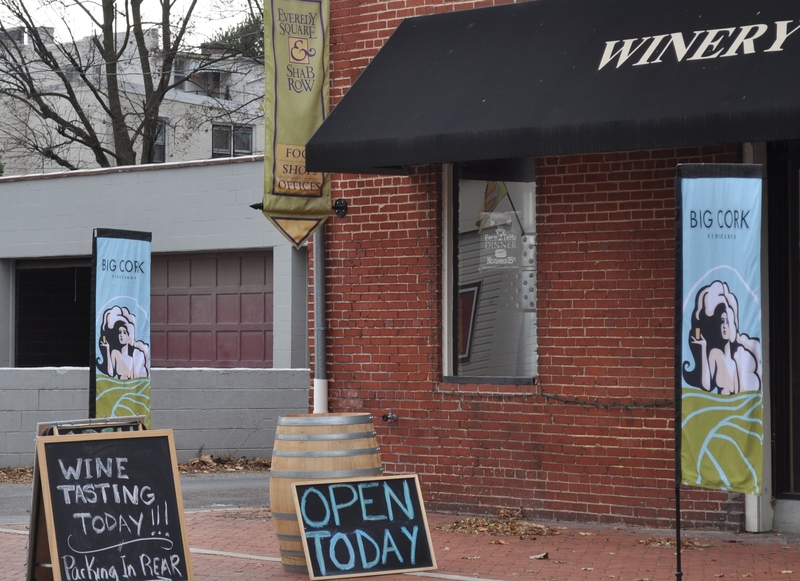 We first met Dave years ago at Breaux, and we are glad to see him setting up this winery in Maryland. The facility is on “Shab Row”, just east of the main drag (Market St) and northeast of Carroll Creek Park. 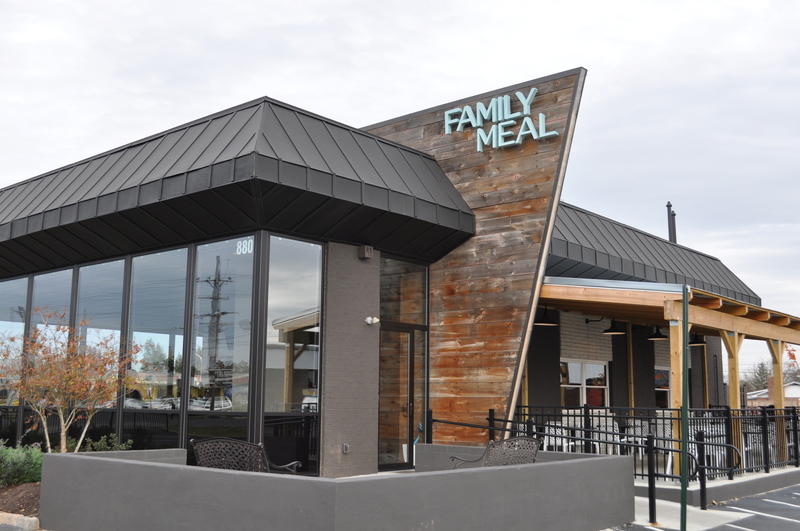 The next time we visit, we may be tempted to have lunch at Family Meal, Bryan Voltaggio’s restaurant just a few blocks north of the winery tasting room. I am thinking that their chicken pot pie fritters sound interesting. Or, we may do Greek/Turkish at Ayse, just south on N. East St. Want something else to see? The Roads and Rails Museum is right across the street from Big Cork. We haven’t spent nearly as much time discovering Frederick as we would like. Sounds like many more day trips, lunches, strolls, tastings are to be scheduled for the future. Maybe I should do some Christmas shopping there, and support those small businesses just to our west. Posted in Adventures, Day Trips, Food, Local Businesses, Restaurants, Wine and tagged day trips, Food, foodie, hobbies, local businesses, MD Wine, wine. Bookmark the permalink. How fun–it sounds like a wonderful day. And great idea for future visits.